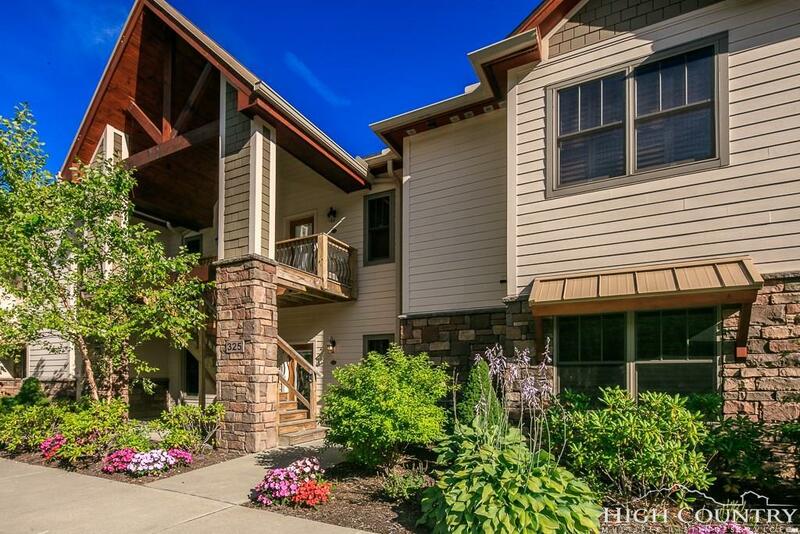 Luxury UPGRADED condo in Banner Elk, NC with HUGE unobstructed views. 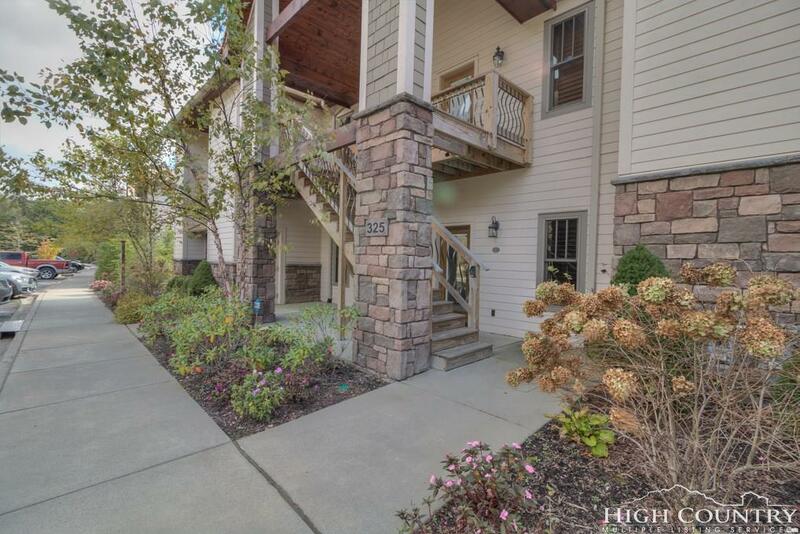 This large 2 bedroom condo in The Vistas development has a COMPLETELY LEVEL ENTRY and one level living. This gorgeous condo offers the quality construction of The Vistas, with superior soundproofing, low maintenance cement siding and trex on the exterior, granite counters throughout, travertine floors in baths, high ceilings and more. Attention was paid to every detail in creating this UPGRADED condo. Upgrades include seamless glass shower doors, upgraded appliances, wood floors, large stone gas vented fireplace, custom closets and custom touches in the kitchen. Outside on the wide deck is a large outdoor kitchen with granite counter and refrigerator. The outside storage room with double doors is wired so that a TV can be installed to create an outdoor TV room. This home is on natural gas, a rarity in this area. There is a tankless gas hot water hear, a natural gas furnace and the stove is natural gas as well. 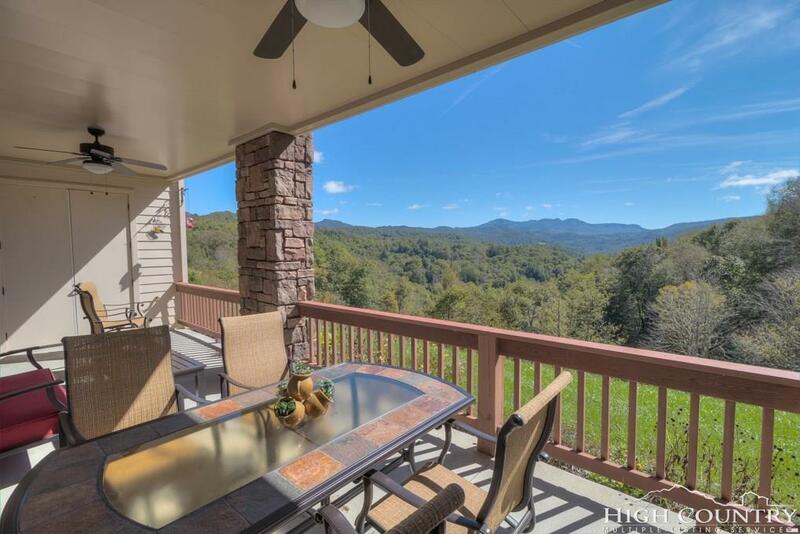 This building is on the first row at The Vistas, offering unobstructed views of Grandfather Mountain. 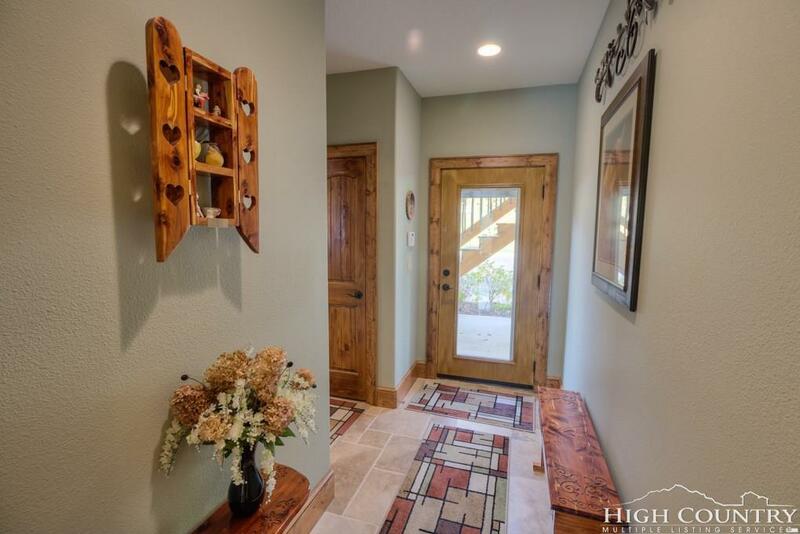 The Vistas are on city water and sewer and city maintained paved roads! Home is not offered furnished.